I love shopping for rugs, especially online. Most home decor items I prefer to see in person before I purchase but with rugs getting the quality you expect online is pretty easy. Whether you want a wool, shag, or flat synthetic rug there are so many options available. 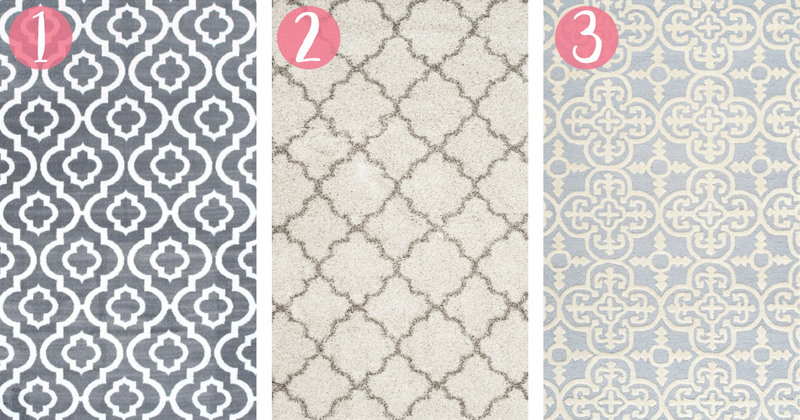 When it came time to pick out a rug for my “Rustic Glam Nursery” I knew I wanted a Moroccan or Trellis style in grey. 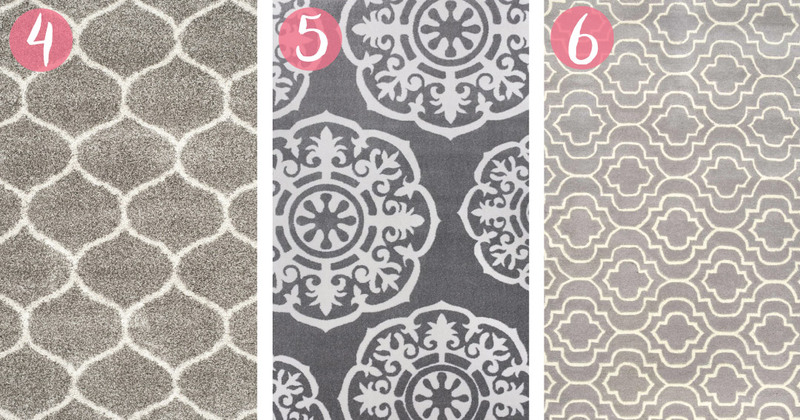 I ended up purchasing mine from Rugs USA (picture below or Option 6). I absolutely love it! It’s one of the softest rugs I’ve ever purchased and its perfect for a nursery. 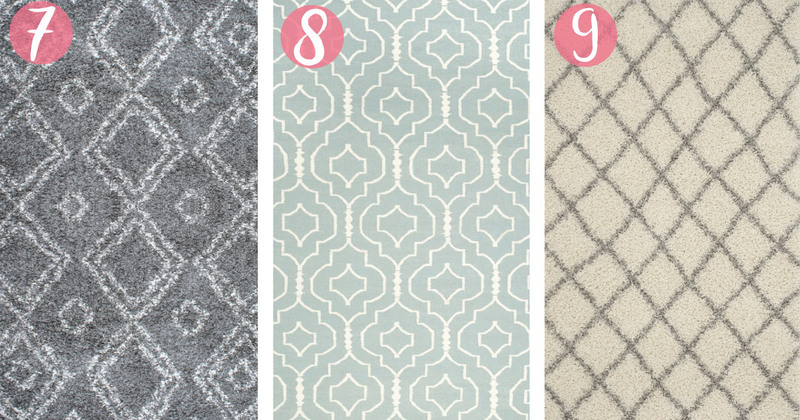 If your looking for a new rug and want a Moroccan or Trellis style then here are my favorite finds. Happy Shopping!